Hitting the Switch: Has Nintendo learned its lesson from the Wii U? It has very much been a case of “so far, so good” for Nintendo’s new console, the Switch. According to several reports, the hybrid home/portable console sold over 1.5 million units worldwide in the first half of its launch month. A solid start to the console’s lifespan and one that has equaled Nintendo’s biggest home console success, the Wii, back in 2006, which bodes well since the Wii went on to sell over 100 million worldwide. 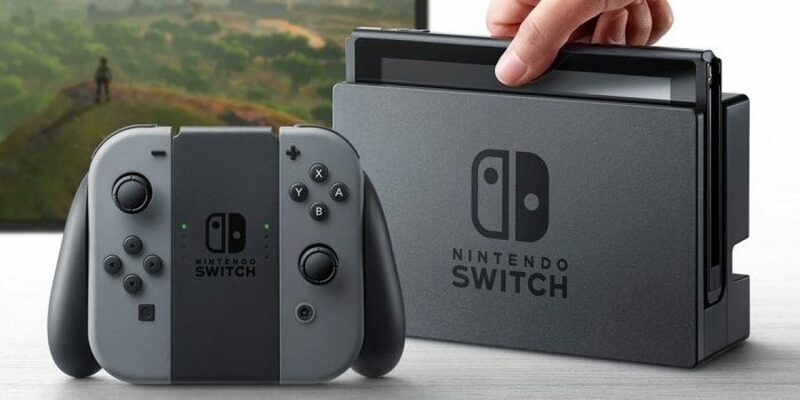 After the humbling lifetime sales of the Wii U, many publications have determined the Switch as Nintendo’s last roll of the dice in the hardware market and the Japanese games company will be hoping that the mistakes made 4 years ago have not been repeated. The mistakes made with the launch of the Wii U were myriad and endemic of the console’s long-term prospects. The decision to brand the console with a name that was almost identical to its predecessor is a classic example of misunderstanding your audience and became an issue that the Wii U was unable to recover from. 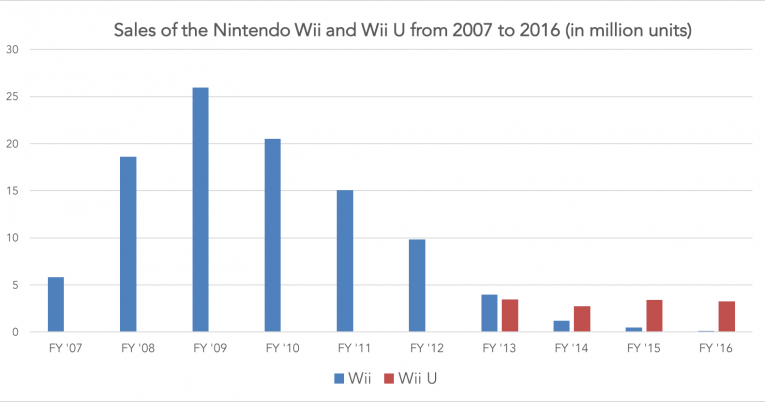 Nintendo clearly hoped to build on the original Wii’s phenomenal sales by continuing on the brand with its successor; a prudent strategy in theory. Unfortunately the Wii was a console which was synonymous with peripheral devices, such as the hugely successful Wii Fit Board (32 million units sold), so the decision to show the progression from the Wii by adding the letter “U” rather than a sequential “2” led to genuine confusion over whether the Wii U was a successor to the Wii or an addition to it. This abstract branding was compounded by the Wii U’s USP, the tablet controller, which comprised a majority of the marketing for the console. Even at the console’s reveal at E3 in 2012, the focus was entirely on the tablet with the base console absent from proceedings leaving many pondering whether they were announcing a next-generation console or simply upgrading their current one. Not only was the message about the Wii U extremely unclear, it failed to reach much of their audience that had been acquired by the success of the Wii. The motion-controlled Wii had proved to have a near-universal appeal by reaching all age demographics but that appeal was rooted more in the intuitive controls and accessibility rather than Nintendo’s name. The Wii U’s tablet controller, by comparison, felt strangely superfluous with no early demonstrations showing why the tablet was intrinsic to the experience or any advantages it had over a traditional games controller. If anything, the touchscreen seemed to complicate interactions with the console which is the exact opposite of what had attracted Nintendo’s newly discovered “casual” audience, traditionally the older demographics who are less integrated with technology. 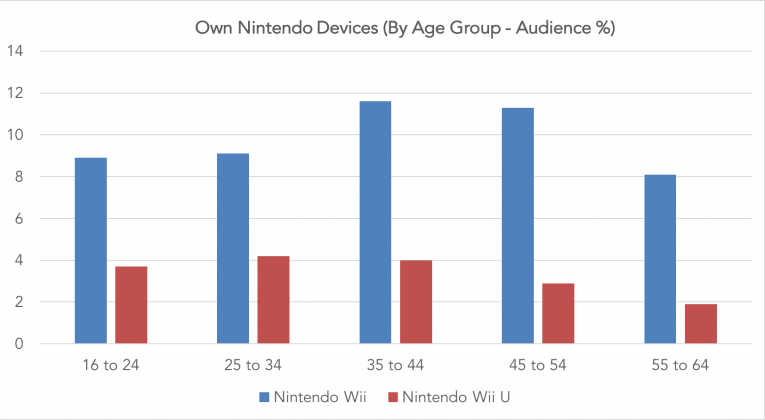 We can see on the graph below (based on data from Global Web Index) that the audience for the Wii U skewed towards younger demographics rather than retaining the older groups, which must have been Nintendo’s intention by keeping the “Wii” brand. Whereas the Wii’s motion controls had been an unquestionably strong USP in 2006 against the more traditional competition for graphical fidelity of the Xbox 360 and Playstation 3, the Wii U’s touchscreen in 2013 wowed very few people. Not only did the touchscreen controller seem ancillary but such devices like the iPad and Android tablets were already commonplace and were rapidly establishing themselves as gaming devices in their own right. Even as an out-and-out games console, the Wii U’s hardware barely outperformed the Xbox 360 and Playstation 3. With both of those competing consoles reaching the end of their cycle in 2013 and their successors -the Xbox One and the Playstation 4- only months away, third party software developers were reluctant to commit to the console with the upcoming next generation titles unlikely to be able to run on a console so underpowered compared to the imminent competition. Nintendo’s formidable first party titles such as Zelda and Pokemon were also entirely absent from the console’s foreseeable future and only an overly-familiar 2D Mario game (some 15 years after the character went 3D on the N64) constituted a significant first party release during the launch window. 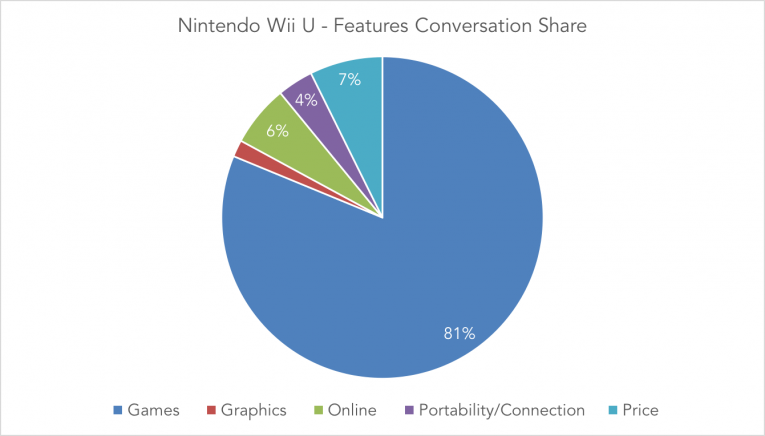 And without much support from its own established properties and external developers, the Wii U’s gaming appeal became very narrow indeed. But what we can also see, is that Nintendo has ensured its latest console is not going to be ignored this time. The huge swathe of conversation that has greeted the Switch, both at its announcement and its release, shows a major turnaround for a company that was struggling to make any kind of impact with its last home console. Nintendo has broken free of the Wii brand and concisely delivered the message that this was a console capable of being used in the home and on the move -something the Wii U had alluded to but never delivered upon. It was a concept of which the appeal was easy to grasp and, this time, seemed pragmatic rather than gimmicky. Essentially, the wants and concerns of Nintendo’s audience have changed very little over the last 4 years with games being the major driving factor of the console’s appeal. And the Switch has started strongly on this front with the acclaimed Zelda: Breath of the Wild earning an impressive 97% on Metacritic and is certainly the standout first party game or “killer app” that the Wii U sorely lacked. Likewise, Nintendo’s confidence has been boosted with the consoles initial success to such an extent that have doubled their production for the Switch and are projecting 10 million in sales for 2017. 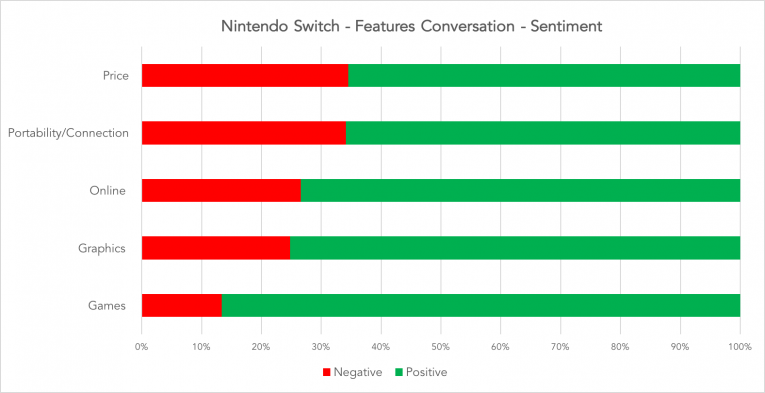 However, the Switch’s sales currently do not greatly exceed its predecessor during the same window plus the audience preferences and priorities for a Nintendo console remain unchanged. It is then, perhaps, Nintendo’s much-improved communication and clear message for its latest console that has produced this vast increase of conversation for the Switch compared to the Wii U that creates a much brighter and assured future for Nintendo in the console market.